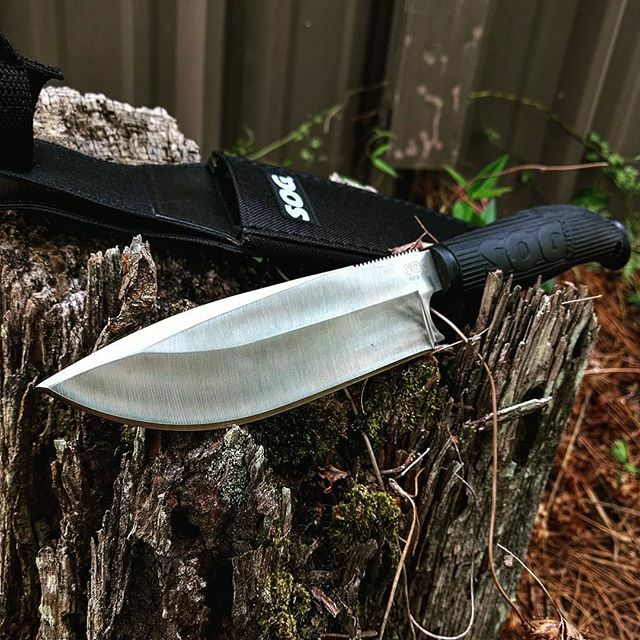 Inspired by the traditional Bowie knife, the SOG Aura Camping knife model AU-01 combines all the traditional dependability of the Bowie with the best design technology available today. The fixed blade is constructed of 7Cr13 stainless steel. A finger guard is integrated into the blade to give you precise control. The zytel handle has a rubber covering for added grip and features a removable carbide sharpener that unscrews from the end of the handle. Nylon sheath included. 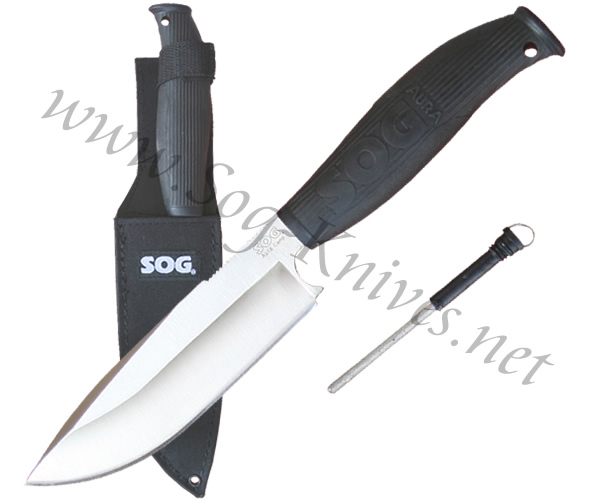 Own a SOG Aura Camping Knife AU-01? Tell us how you like it! Got a question? Ask! Somebody will answer!